Background: Each refugee group experiences specific migration and resettlement experiences. There are no epidemiological data on risk factors for psychiatric symptoms among adult Somalis in the UK. Methods: We interviewed a community sample of 180 Somalis. We assessed the relationship between symptoms of psychosis (BPRS), anxiety and depression (SCL–90) and suicidal thinking (BDI) and migration-related experiences such as traumatic events, immigration difficulties, employment and income. Results: Anxiety and depression was incrementally more common with each pre-migration traumatic event (OR per trauma event = 1.31, 1.06–1.62, p = 0.01). Shortages of food, being lost in a war situation, and being close to death and suffering serious injury were each related to specific psychiatric symptoms. Suicidal thinking was more common among Somalis who were unemployed before migration and those using qat in the UK. 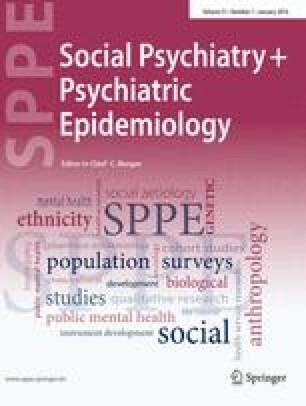 Conclusions: War-related experiences, occupational status before migration and current Qat use are risk factors for psychiatric symptoms among Somali refugees.